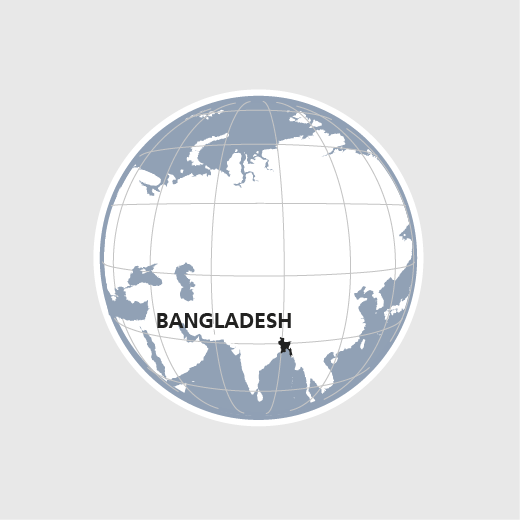 Despite economic growth and significant social progress in health and education, for example, Bangladesh is still plagued by political instability and corruption. Millions of people live in extreme poverty. The country's geographical location in the world's largest river delta also makes it prone to flooding. It is also regularly hit by tropical cyclones. Through its projects in the areas of rural community development and conflict transformation, HEKS/EPER supports social, ethnic and religious minorities that are discriminated against. HEKS/EPER helps improve their food security and incomes and supports them in the pursuit of equality and justice. Besides, HEKS/EPER provides emergency relief and reconstruction aid after natural disasters. HEKS/EPER helped more than 6000 Dalits and Adivasis raise their income in 2017. HEKS/EPER provided emergency aid for 13500 persecuted Rohingya at the Jamtoli refugee camp.